The bankruptcy of a negligent driver who caused injury to a husband and wife may prevent plaintiffs from actually seeking damages against the defendant, but it doesn’t shield the auto insurer from having to pay out. That was the ruling of the Alabama Supreme Court in a recent case involving two car accident claimants. Although this is an out-of-state case, it deals with matters that could just as easily arise in Florida, and justices often consider rulings by sister courts that have weighed similar issues. To understand the court’s ruling, we must first explain a bit about U.S. Bankruptcy Code and how it impacts personal injury claims. A Chapter 7 bankruptcy in particular involves a trustee who gathers and sells a debtor’s nonexempt assets and uses the proceeds to pay creditors in accordance with the provisions of bankruptcy law. Part of the debtor’s property may be subject to liens that can be paid to creditors. A Chapter 7 filing has the result of an immediate “stay” of all pending action from most creditors – including personal injury claimants. If a Chapter 7 is approved, individual debtors may be released from personal liability from most debts, and creditors who are owed are prevented from taking any collection action against the debtor (though there are several exceptions – and drunk driving accident victims are among them). That brings us to the recent Alabama case. 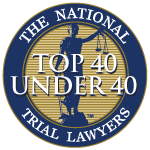 The crash in question occurred in December 2014, when plaintiffs – husband and wife – were injured when their vehicle was rear-ended by another vehicle driven by defendant. The following spring, plaintiffs filed a lawsuit against the driver who had rear-ended them, alleging she had been negligent at the time of the crash and owed them damages. Complaint also named plaintiff’s own auto insurer as a defendant, seeking recovery of uninsured/ underinsured motorist benefits (UM/ UIM benefits). 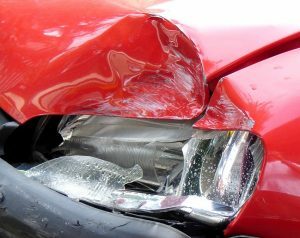 These benefits are paid by one’s auto insurer in the event a negligent driver does not have insurance, is not identified (i.e., hit-and-run) or lacks enough insurance to fully cover the damages. Before trial, defendant driver filed a suggestion of bankruptcy notifying trial court that she had initiated bankruptcy proceedings and thus the underlying claim should be ceased because no damages could be collected. In turn, plaintiff’s insurer filed a response requesting summary judgment on the UIM claim, noting a plaintiff can only recover such benefits if plaintiff would be legally entitled to recover damages from the negligent party. Because the bankruptcy had foreclosed on defendant driver’s legal obligation to pay, the issue of UIM benefits failed as a matter of law. The trial court granted the motion for summary judgment in the car accident lawsuit, but the state supreme court reversed and remanded for further proceedings. The court held that defendant driver had not been relieved of legal liability for harm. Rather, plaintiff was only prevented by law from collecting damages. Any injunction was directly against the debtor, and in no way extended to plaintiff’s own auto insurance company. The trial court made a mistake in entering a summary judgment in favor of the insurer on this issue.